Last November 24th, 2016 we received our President, who came to our Institute to talk with the whole team of Le Cordon Bleu Mexico and with some of our students about very important topics in the gastronomic world. 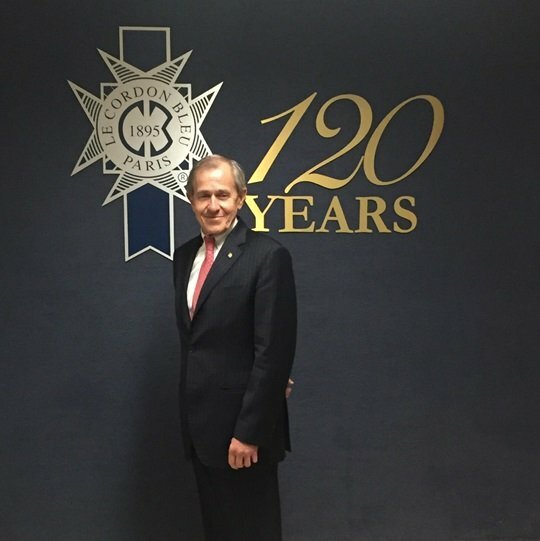 Mr. André Cointreau, Le Cordon Bleu International President since 1984, has established a worldwide network with more than 120 years of experience and 35 Institutes in 20 countries. We thank our International President for his pleasant visit and we look forward to his next return!